"Hanging on in quiet desperation is the English way." Perhaps the most intriguing group of people among Poland’s huge diaspora (the so-called Polonia) are the ‘Poles of Haiti’. I heard about this lost little enclave of ‘Polishness’ on radio and began to follow, Theseus-like, the strands of stories that might lead me to some sort of end-point in my search for the truth in the labyrinthine information maze that is the internet. Much to my surprise, I was able to bring together these strands and get some kind of picture of how on earth Poland has managed to touch the culture of Haiti. In 1804, Haiti declared independence from Napoleonic France. Napoleon was having none of it and swiftly sent a force of over 5,200 Polish Legions to stamp his authority on the natives and their lust for independence. The Third Half-Brigade of the Polish Legions were not extremely happy with this state of affairs as the Legions were primarily focused on fighting for Polish freedom in Europe. The idea of (1) fighting against freedom and (2) fighting over eight thousand kilometres away from one’s homeland on the other side of the world seemed both ridiculous and annoying to these soldiers. 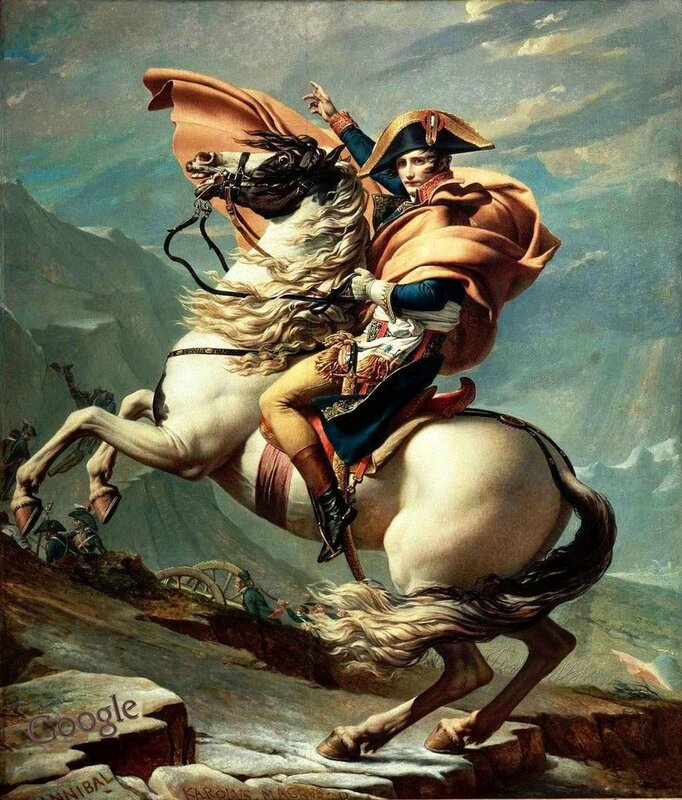 But soldiers they were, and more importantly, soldiers of Napoleon and they had to follow orders. The Polish Legions became embroiled in the Haitian Revolution, and most died, although it was not the fighting that killed them but yellow fever. 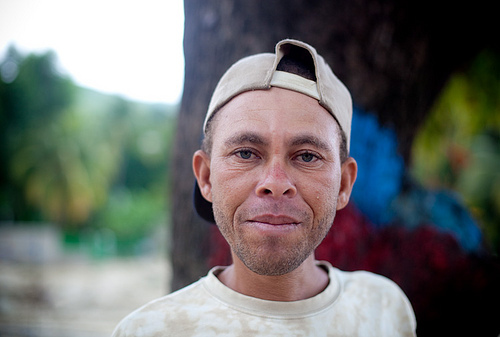 Unaccustomed to the climate and the dangers of life in the Caribbean 4,000 soldiers died of the disease. Those that remained became the stuff of legend, Haitian legend. Miffed off with fighting those who were fighting for freedom (like themselves), the remaining Polish soldiers decided to throw off the yoke of their French masters and joined Jean-Jacques Dessalines in the Haitian struggle for independence living to see a free Haiti. The indigenous peoples were so enamoured by their Polish brothers-in-arms that they included them in the Haitian Constitution of 1805 in which it was stated in Articles 12 and 13 that no white man may hold land on Haiti apart from the Germans (who had a small community there) and the Polanders (Poles). These naturalised Polish Haitians had a great impact on the fledgling Empire of Haiti, later the Republic of Haiti. The Haitians were impressed by the Poles’ great love of their Matka Boska Częstochowska (Our Lady of Częstochowa). They noticed how greatly the legionnaires venerated their icon. Through a process of assimilation and transformation, the Polish Catholic Matka Boska Częstochowska became the Haitian Vodou Erzulie Dantor, a warrior spirit, the protector of women and children, associated also with lesbians, homosexual men and abused women. Interestingly, like Matka Boska Częstochowska, Erzulie Dantor also has scars on the right-side of her face which she got from a fight with her sister when she stole her husband from her. A rather different persona from Matka Boska Częstochowska. The ties between the two countries do not stop there. 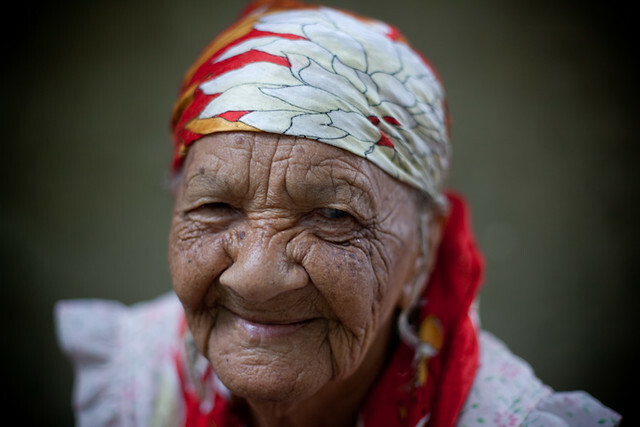 In Cazale, 70 kilometres north of Port-au-Prince there lives a community often referred to as blanc, polone. They are, to all intents and purposes, Haitians but due to the fact that the bulk of the Polish legionnaires settled there, the community has forever been referred to as ‘Polish’. If you are from Cazale, you are Polish, it’s as simple as that. Interestingly, there is a high proportion of blue-eyed Haitians here. Another link is Jerzy Grotowski who came to Haiti in search of inspiration in the 1970s. It’s fair to say that his experimental theatre owes a great deal to the spirituality of Haitian Vodou. It is wonderful how two seemingly disparate and distant cultures have common threads weaving them together. On the one hand, we have Napoleon, the Haitian battle for freedom, the Polish legionnaires who joined with the Haitians in their Revolution and all the ramifications of their presence on the island. This includes a strong genetic marker in Cazale and the surrounding area and the warrior spirit of Erzulie Dantor. On the other hand we have Grotowski and his deep love of Haiti and its spirituality. Poland and Haiti – who would have thought…? Utterly wonderful. 🙂 I wonder if they display any other traces of a Polish identity – leftover words in their local version of Creole, Polish surnames, further identifiably Polish elements in their religious beliefs… It would be good if some charity organisations in Poland tried to reach those communities, to see what state they’re in and what could be done to help them. Yes, there are traces of Polish surnames but, to a non-linguist, utterly unrecognisable. For example, the village “Cazale” is apparently a perverted version of “Zalewski”! Work that one out! As far as I’m aware, this area hasn’t been hit by the quake, but in reference to your reference about Polish organisations visiting Haiti, it reminds me of Papa (pardon the pun) JPII visiting this community a few years ago – he was well aware of the ‘Poles’ in Haiti. I wonder, is Ywrinh a Polish name? Great to hear! Yes, I have Polish blood running through these veins of mine but I was born and bred in the UK. Great piece there Raf, I had forgotten about our Legions in Haiti, and never really thought about what happened to them afterwards. Thanks, enjoyed that. I didn’t know that many swapped sides and ended up staying there. For anyone interested in the Haitian Revolution, I can recommend a novel by Cuban writer Alejandro Carpentier. Sadly, it does not include any mention of the Poles. Interesting post! I too just came across this regarding the Napoleonic Polish Legions in Haiti. Great reading your blog. I keep our Polish heritage alive with cooking dishes like Bigos etc. and Christmas Eve traditions. Damn and blast. Let’s just hope he doesn’t get word of it. Shhhh…. What “emigration”? They didn’t emigrate and this is nothing more than a footnote in Polish/French history. This is only about the few who survived yellow fever and changed sides. There was a chapter on those Haitian Poles in “Lost White Tribes” by Riccardo Orizio. What he described in the book was rather sad – a bunch of mostly half-literate, destitute peasants. When JPII was visiting Haiti, the government suddenly “remembered” those “Poles”, they scooped up a bunch, drove them to the capital, made them change into quasi-folk costumes and greet the Pope. After that they were deposited back in their village. I met one of those “Polish” Haitians in New York, her name sounded vaguely Polish but was spelled in a funky frenchified way. Even though light-skinned by Haitian standards, she would definitely be considered black in Poland. Culturally she was 100% Haitian. And as she told me, the irony of the whole spectacle for the Pope was that most of those “Polish” Haitians are Seventh Day Adventists these days. I love to hear more about polish soldiers who fought in Haiti against their beliefs. I came across an article about these extremly curageous polish soldiers which were used by Napoleon to win battles while giving them empty promisses (Poland was divided between agressors at that time and believed in Napoleon to give them freedom). Our Lady of Czestochowa is only one example of what an influence these people made on natives. What an interesting and beautiful story for a big screen movie. I’d like to know more about the Polish Haitians and this so-called “right of return?” My father’s family was Polish and he and his parents left Austria-Hungary from a village that is now in Poland. I thought that Poland had no “right of return.” Anyway, I’ve never been to Europe, so how would it be a return for someone like me? On the other hand, if those of Polish ancestry from 200 years ago have a right of return, then I suppose I would too – even if I am only half Polish. My grandparents left Poland before there was a Republic of Poland in 1918, so when I wanted Polish citizenship, I had to petition the President. I had to write my biography (in Polish) and back it up with documentation, etc. Fortunately I had done much to promote Polish culture in the U.S. through charities and Polish organizations. Also I hosted Polish radio and TV show and danced in a Polish folk dance troupe, and had news clippings and thank you letters regarding these. It took several years, but I was granted Polish citizenship. I am very proud of this! I loved reading the article and the comments are great! Thanks for the links. Fantastic portraits! I knew about the polish in Haiti. As a matter of fact they told me my last name is Polish. I’m a black Haitian, but my paternal ancesters are polish I think. I’ve seen the blue eyed, blonde Haitian in Cazal, they are peasants, most of them don’t know how to read. I’d like to know more about this, please write more about it. 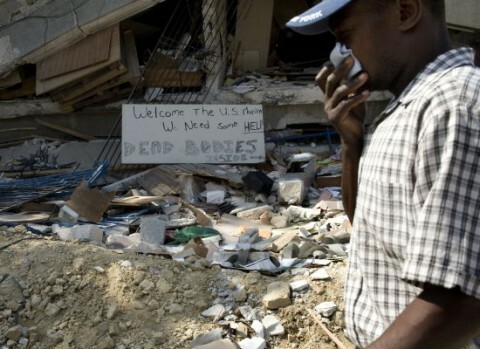 Yes, yes – have a gander at a Port au Prince phone directory from say 7 years ago or so…if any survived the quake. There are many, many Polish or old Polish ? surnames! Wilewski? Vilneus? Pomponius? Wilenski? and first names, proper names too…Thanks for this. I know of the NAJAC, from the southern part of Ayiti. They are mulattoes for lack of a better word. Is Najac a Polish surname? Is it a Polish word? Not that I know of but it could be a corruption of a Polish word. An interesting possibility is… Najac could have been a misreading of a Polish name- Zajac. If someone’s handwriting was unclear, a Z could have resembled a tilted N?? By the way, the surname Zajac does exist and actually means “rabbit”. Pingback: As legiões polonesas e a Guerra de Independência do Haiti « Policiais Brasileiros em Missões de Paz – United Nations Police "UNPOL"
My ex husband is a Haitian-Pole. He says the first born child kept the name oe , I think the Maternal parent (or another relative), and the children after got the name of the father (heraldry?). His mother’s (grand)father’s name Dutely; hers is SanVile (spelling). They are from Duvalierville/Cabaret. One can see the Polish appearance in them. In addition, I did not understand how much Poles influenced Haitian speech. I used to think it was like baby French (naive), until I want to a Polish store in the United States. I actuall understood the sign because it was so close to Haitian Creol. That might be another aspect that people are missing/unaware of. Thank you for the information. That is something to definitely look into. Can you husband tell me if he knows of any cooking recipes in cazal that inherited the Polish culture. I would love to know. Wow! Some day I hope that my 18 year-old adopted (since one month old) Haitian daughter will come to appreciate her Polish heritage. Having taught school for six years in Haiti, I was blessed with this child by a peasant woman in Cazales who didn’t want another baby that she couldn’t care for. We live in Naples, Florida, and as a Jewish woman with Polish ancestry, I tell her just to tell the confused people (who look at us and then ask her questions) that we’re distant cousins!!!!!!!! All the best, Raf, and please stay in touch. In her life’s context this has the potential to mean more than you or I realize. Thank you for the background. My whole family is from Cazale…and my grandmother who died at 98 years old and her two siblings who died around the same time have always known that…by the time my aunts uncles and mother were born in the 40’s 50’s 60’s the area had started becoming less isolated with more outside influence…Not my grandmother or anyone of her children married somebody from cazales….so the polish features are disappearing and dying fast…but I’m confident about the stories about part of their ancestry that they have known all of their lives…used to vacation there as a child and we can trace our lineage to at least one person 4 or 5 generations ago…but when I went there two years ago to bury my grandma’s ashes the place is no longer the same. My guess is there are as many of people from Cazale in NY or diasporas elsewhere as there remain in Cazale itself. A high percentage of people living there now came from other places.But we are all generally proud of our heritage as are our parents and grandparents. We still love the place…Yes things are though in the area…but I guarantee you that some of us are very successful here in the U.S. And elsewhere… The younger generations that is. It’s great that people are still proud of their lineage and it’s not forgotten. On another note, I suppose all places change and are never the same but that’s the sadness (and beauty) of life. What a nice story, KRP. Thanks for that. I’m not sure but you may be the first of the contributors that I’ve read in Raf’s articles that can talk about spending delightful days as a child in Cazale. Those have to be precious and almost unique memories. Thanks for letting me know also of the changes in Cazale. In the event of my adopted daughter ever going back to her roots I’d like to let her know she may not find the same quiet and green little village that shows in the photos of almost 23 years ago. I took them when visiting the bio-mom’s home and was struck by the beautiful running river, the exotic features of the folks that came to help us get the jeep unstuck from the muddy ruts in the road, and of course all the little girls on donkeys. A rushing river in dry Haiti is a blessing and something I had never seen in my previous six years of living there. Please let us know if you ever come to Naples, Florida. I’d love to meet you! And thanks, Raf! Wonderful, wonderful stories. It sounds like you guys have such a rich and beautiful past (and a present just waiting for an adventure). Keep me posted! I’ll let you know if we ever meet. If anybody ever learns more about Yolande (a.k.a. Hollande) Dulaurier from Cazales, I would love to hear about her. She is my adopted daughter’s bio-mom. She is also the bio-mom of another young man called ti-Luc as a youngster. I’m really happy that you enjoyed the post and got in touch – thanks! I hit this article by accident and, I was totally enamored by the history. Is it because I’m of ‘Black Irish’? Maybe. Totally interesting tidbit of history and passion on such a decimated island. I would hope they have amended the law of limited ownership in order to broaden the economic horizon of their suffering people. God, help Haiti! I am so impress by your article that I have send it to most of my polish family and friend, Good to know. Intersting topic.What brought me here was that I saw the obituary of a black man in the US with a polish surmane, which is extremely rare. I’ve been a missionary in Haiti for the past 15 years, and never googled about “these people” (for lack of a better term). I met my first one during my first year here; a handsome gentleman that managed a restaurant behind an art gallery near the palace. Fascinating. I now live out in the Artibonite Valley North of PAP. I recall hearing polka music on the radio as we passed along the coast headed North (didn’t associate it with being near this community). We have a family in the valley with this heritage, and I, sad to admit, have to do a double take whenever I see one of them. Usually the boy going to school. I have never seen anything like it, and photos I see posted here don’t show it. Reddish-bronze skin, blonde afros, and blue eyes. I find it most beautiful. Great article. I had heard the rumors about their history. Nice to know the truth. I had the same enchanted reaction, Tom, when I went to Cazale to take my soon to be adopted daughter’s pregnant mother in from there to the hospital in PAP. Our jeep got stuck in the mud and as usual, Haitians came out of nowhere to help and to watch. They were the most beautiful bunch I had ever seen in my six years of living there– blonde hair, honey colored skin, blue and green eyes, etc. My now college-age daughter is a drop-dead gorgeous young lady, too! I see why my roommate is so friendly with me since he is from Poland. But I think it is shame also for not talking about that in our Haitian history and also Cazale is not a very wealthy community. I think ppl who have Polish background in the us or everywhere in the world should come to Haiti and help this community. My family is from haiti and my last name is Barthold which is a Polish surname. It was really great reading up on polish people in haiti because I was always curious to know where in the world did my last name come from. My grandpa does have the appearence of the cazale community but my family was from cayes which was one of the villages that was captured during the war in 1802. Now iam looking to see if I can look up military records of the relatives who were in the Polish Legions. If anyone can help that would be great! Raf Uzar that is just GREAT information! Being from Haiti, I am myself doing research on the different cultures which seattled in Haiti and how it impacted the Haitian culture. What I’m finding is , as you said, just great and sooo fascinating. Keep on the good work!! Thanks a lot! Good luck with your research! My Grandmother is From Cazale and she has those Same Polish features as the man above. My mom aunt, and uncles all have these same polish features. In 1802, France sent most of the disgruntled legionnaires (two demi-brigades, 5,280 strong, under General Władysław Franciszek Jabłonowski) to Haiti to put down the Haitian Revolution (on the Caribbean island of Hispaniola, known then as the French West Indies or St. Domingue). Napoleon wanted to regain the colony of Saint Domingue, but preferred to save his main French army for more important matters, closer to home. The now inconvenient Polish units were accompanied by contingents of Germans and Swiss French allies, as well as by French units that had fallen out of favour with Napoleon and the French high command. Slavic blood flows through their veins. A lot of people don’t know about this. This story deserves a movie. The second “Les Polonais” which is in Polish. Both should have English translations. Many, MANY thanks for this! There is a movie now, about a Haitian vodou priest visiting People’s Republic of Poland in 1980! Enjoy! I am Polish by birth and English by circumstances. I am totally enchanted by this story. It goes to show how in the end goodness seems to win against the odds. I wish the best of everything to the people of Haiti in their difficult time. And by the way,Mr. Volny, your name means “Free”. I am from Cazale.Let me tell you, it’s beautiful there.When we go to the Capital the people there don’t recognize us.And when I tell them where I’m from they don’t know the location.i have two beautiful children and they look mixed.One with light grey eyes and his skin color is pure yellow.they mistaken my grandparents to be white.im proud to be a Polish descendent.I did a paper about Polish In Haiti and its was easy for me to just go online and show my family to my classmates( some are in the videos)It’s nice to talk to others about my heritage because I’m proud of who I am( Polish). P.S.they should make a movie about us too. Great to have someone from Cazale here! Thanks for writing. Are there many people that have Polish roots like you? It is an interesting news that I read your article today. This lost tribe in Haiti is sad. Thank you for this opportunity to teach a bit on Haitian history and culture. With all due respect, I must say the search for commonality with “the other,” the sentimentality here is admirable but its inaccuracies deadly for Haiti at its core. There’s so much factually incorrect about this story. The white gaze here is unfortunately glaring and the “Europe-is-the-center-of-the-universe” colonial narrative is institutional racism, albeit in a “progressive-Left” familiarity. 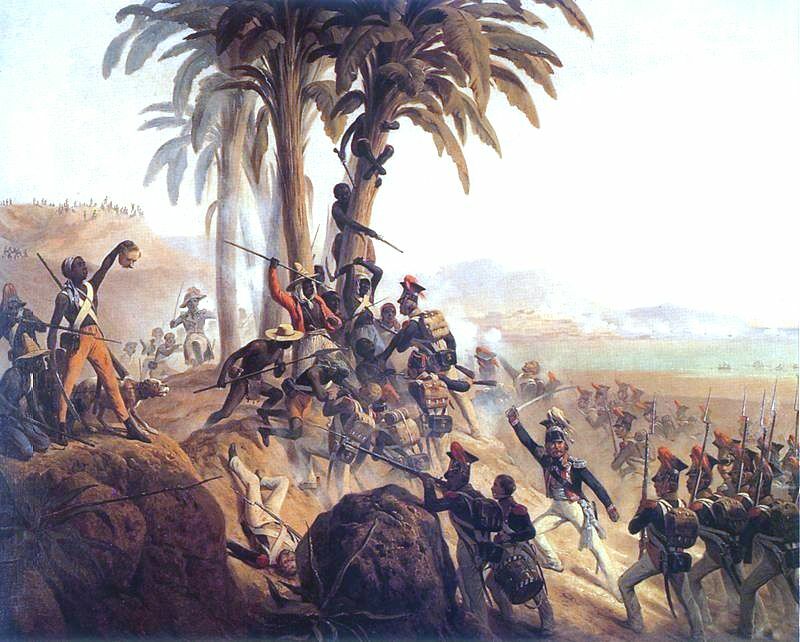 The Polish legion to Napoleon’s army got to Haiti BEFORE its independence in 1804. A few Polish soldiers not most, joined to fight for that independence and where welcomed, as Haitian citizens (under the 1805 Constitution) along with some Swiss and German soldiers, who also fought on the side of the African warriors. All Haitian citizens no matter the skin color where known as “Black”. This is PARTLY where Black as the color of liberty originated as one of the three Dessalines ideal for the founding of Haiti. (Google HLLN’s “The Three Ideals of Jean Jacques Dessalines). 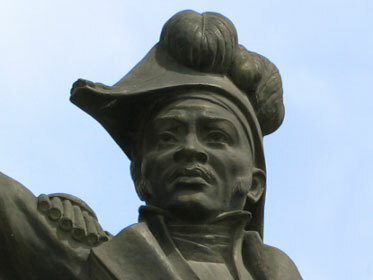 Janjak Desalin (Jean Jacques Dessalines) had seasoned African warriors as his guard and called them “the Poles” because they were newly arrived African soldiers from Africa, kidnapped and put into slavery and they spoke Kreyol as badly as the Polish soldiers in Napoleons army spoke French. A Black female warrior unit, headed by Mari Jann, also guarded Desalin and were known as the fiercest of soldiers. Desalin had reason to say the only good white is the one that kills the bad ones. The Poles, Swiss and Germans who fought on the side of the African warriors were given citizenship and not murdered as Rochambeau slaughtered and gassed the Africans he caught but they were not idolized and played no commanding part in big battles or Haiti’s declaration of independence like, Kapwa Lamo for intance did at the Battle of Crête-à-Pierrot. Thank you Ezili Dantò, for your voice here. I scanned the comments for a critical response calling out the whitewashed narrative glorifying european colonization, violence, and polite white supremacy while erasing the historically lived experiences of the Haitian community at this time… It’s a privilege to educate myself from the resources on your site and also to read your response above, thank you so much again. My family is polish-haitian. It is true that’s most of us are 7-days-Adventists. My ancestors were Polish/German/African. My parents are born in Haiti. Most of my family members are currently living in New York. We are all light skinned blacks. None of us has light coloured eyes though. Very interesting post. Have you thought that perhaps what they don’t say in these historical communications is that the Haitians liked the image of Madonna so much becasue she was black. 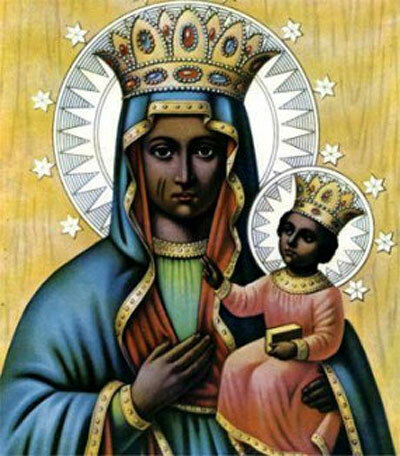 The image of Black Madonna, which is the same as Matka Boska Częstochowska actually, is from Middel Ages and is very popular in Poland so it is very likely that the legionaries were carying her image.